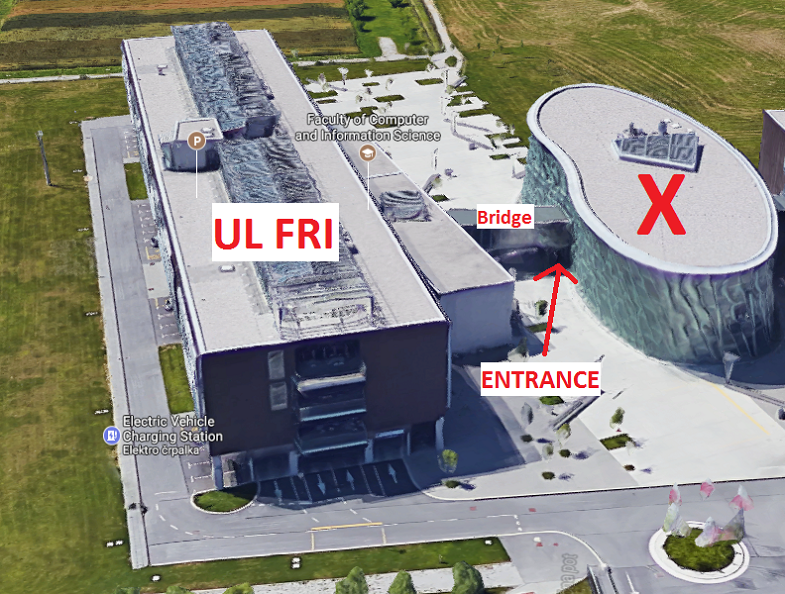 The competition will be held in the new building of the Faculty of Computer and Information Science (UL FRI). PR* - an asterix (*) represents the computer classroom(s) number. Classrooms PR06, PR07, PR08, PR09, PR10, PR11, PR12, PR16, PR17 will be used for practice session and competition. P22 - used by leaders for question answering. PR15 - used by the Scientific Committee. Restaurant at UL FRI is located in the second (top) floor of X building. It can accommodate up to 160 people. Accommodation is at the dormitory Dijaški dom Vič. It is ~2.5 km from the Faculty of Computer Science. It is ~30 minutes of either walking or taking a city bus. Ljubljana Airport (or Jože Pučnik Airport) is the nearest international airport. The international code for the airport is LJU. 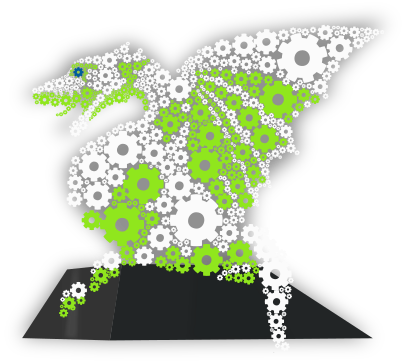 It is located about 25 km North of Ljubljana. There are numerous ways of getting to the town. There is regular bus service every hour from the airport to Ljubljana. The journey time is no more than 45 minutes and costs 4.10 eur. The tickets are purchased on the bus. The bus arrives at the main bus station in Ljubljana. Ljubljana is easily reached from one of the four neighouring countries. For driving on motorways a viggnete is required. A weekly (lasts 7 days from the day of purchase) vignette costs 15 eur and can be purchased at petrol stations or post offices. When coming from Austria on motorway through Karavanke tunnel a road toll of 7.20 EUR is attracted. The main bus and rail station are both at the same location. The distance from the station to the Faculty of Computer and Information Science is about 4 km. Travelling by bus to Ljubljana is an option most likely from Italy or Croatia. Taking the train is probably a better option than bus. There are several connections to cities outside Slovenia. Ljubljana has direct connections to Vienna in Austria, Prague in Czech, Zagreb and Rijeka in Croatia, Münich in Germany, Thessaloniki in Greece, Budapest in Hungary, Trieste and Venice in Italy, Belgrade in Serbia, Zurich in Switzerland, and a whole host of other European cities. Foreigners entering Slovenia must hold a valid travel document. EU/EEA do not need a passport to enter Slovenia, only an identity card. Persons from certain countries may need a visa to enter Slovenia. Further information can be found here. There are public city buses called LPP in Ljubljana. Attendants of the CEOI 2017 have free usage of any LPP bus by showing the CEOI badge to the bus driver. The closest bus stop to the venue is Živalski vrt ZOO and buses number 18 and 18L connect the city center and the bus/rail station with the venue. The closest stop to the main bus and rail station is called Bavarski dvor.